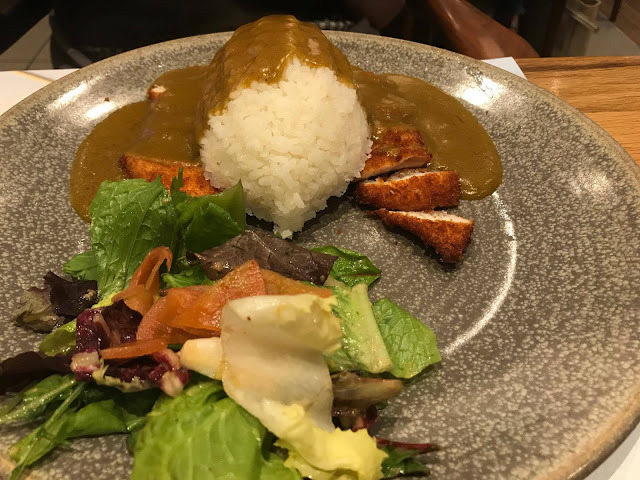 Earlier this week, I had the opportunity to try Wagamama for the first time. Yes, until recently, I was a Wagamama virgin which to my surprise, surprises so many people. I always get a little nervous to try cuisines that I'm not familiar with as I'm worried I won't find or chose a dish that I like. Luckily, I knew just the person to help me. I dropped my blogger pal Jay from Comic Books and Yellow Ducks a message asking her if she'd like to come along and we called it a date. 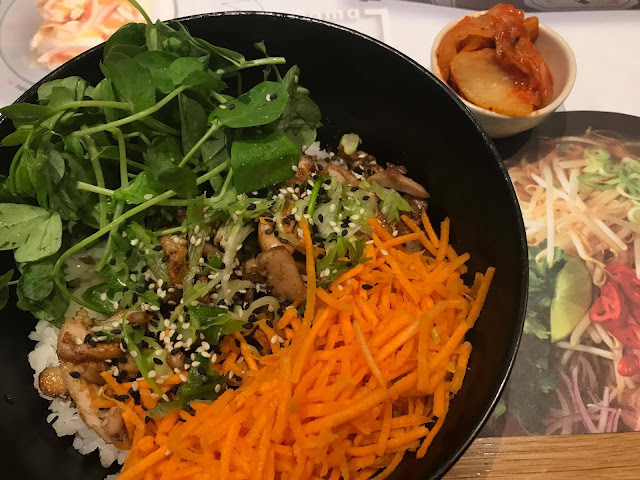 Wagamama is just on the edge of the food court in Derby's intu centre and serves up Japanese style Asian cuisine. Everytime I've been shopping, it's always filled with diners and that's great to see. Myself and Jay made our way to the restaurant for our 7pm reservation on a Monday evening. We got a warm welcome, made our way to the table and handed menus. I explained to our waiter that it was my first time and he was more than happy to explain to me how everything worked and answer any questions I had about ingredients; I didn't know what Kimchee was. As everything is cooked fresh, dishes may come out at slightly different times which was absolutely not an issue. Wagamama serve your meal as soon as it's ready to make sure you get the best tasting food possible. When it came to choosing our dishes, I really struggled as I had no idea what anything actually was or what it contained. I took my time though making sure to read each one and hope for the best. From the offset, the Chicken Teriyaki Donburi caught my eye. This came served in a bowl and consists of Sticky Rice, Shredded Carrots, Peashoots and of course Teriyaki Chicken. It's safe to say, I was very happy with my choice. I loved it! The combination of flavours were a match made in heaven and the vegetables were really fresh. I was worried about choosing something I'd find too spicy but the Donburi wasn't in the slightest which meant I could really appreciate all of those aromatic tastes. Unfortunately I couldn't make my way through the mountain of Sticky Rice although I really wish I could've. Jay went for what is quite possibly Wagamama's most popular dish, the Chicken Katsu Curry. Panko Breadcrumbed Crispy Chicken smothered in Curry Sauce and a generous serving of that same Sticky Rice. She's a big Katsu Curry fan so she can't rave about how amazing she finds it. I think next time, I may have to give this a go! We decided to add some Hirata Steamed Buns to share on the side. 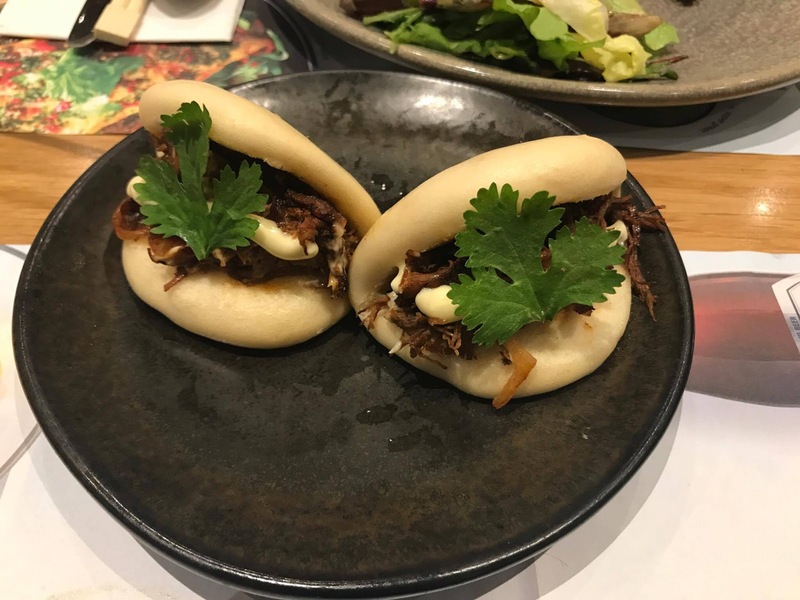 These fluffy little buns come with several different filling options, we went for Korean Barbecue Beef with Onions and Japanese Mayonnaise. I seriously could have eaten them both. The buns were so lightweight and really simple but make a great finger food style snack. After a good old natter and complementary Green Tea, we made a move and went our separate ways. My first Wagamama experience was a success. 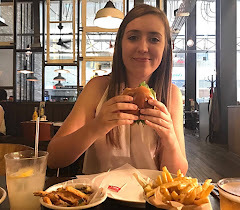 I thoroughly enjoyed my food, the service was spot on and I came away with no complaints whatsoever. 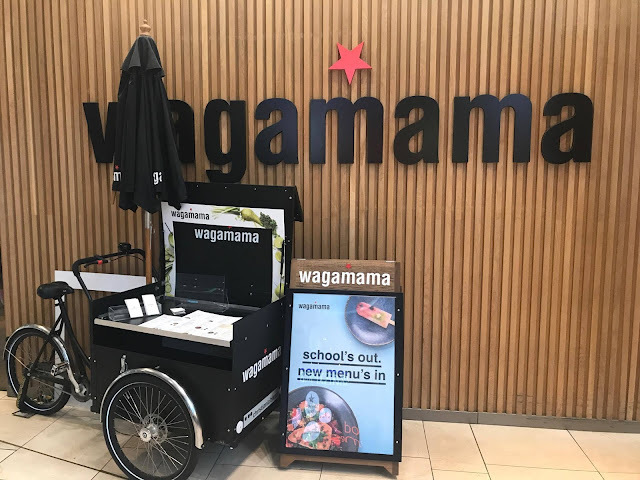 Have you been to Wagamama? What's your favourite dish?